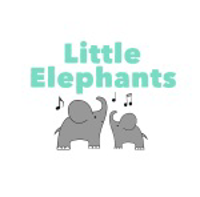 Description Little Elephants sessions are designed for babies and toddlers to enjoy together, and are jam packed with action songs, parachute games, nursery rhymes, puppets, instruments, sensory activities and more. Our exciting weekly themes and props offer a special introduction to music for the under 5s. Our classes are a great way to bond with your child. Little ones love it when their grown ups join in too. Come and watch your little ones learn about the world around them through song, while you both make friends with other families at a similar stage. I took my little 20month Pumpkin to little elephants 0-5yrs Halloween themed music class in Hawley/Blackwater. Today's class was fast paced and engaging. Perfect for children who like lots of stimulation to keep them interested and entertained. There were toddlers walking about having fun, and small babies too. It was very relaxed and the chiclred were not expected to behave in a certain way, which meant it was not stressful for parents. Singing, musical instruments, puppets, parachutes, bubbles, play food and teddies, were all evolved today. We also provide birthday party sessions for children under 5. All tailored to the ages of the party guests, a combination of action songs, puppets and parachute games makes for a special party where everyone is entertained. We can include all your child’s favourite songs and props from Little Elephants.